LAVENDER COUNTRY IS COMING BACK! A true Pioneer with a punk attitude......Only a thousand copies of Lavender Country were made back in 1973, but thanks to word of mouth and a cult following, the record received a loving re-release in 2014-and now holds its rightful place in LGBT and music history. "To the uninitiated, Patrick Haggerty may seem like a man of stark contradictions. He is both fiercely opinionated and exceedingly tender. His story is larger than life, yet he lives humbly. He's a country singer and he's gay," wrote Sam Morrill in an interview with Haggerty. 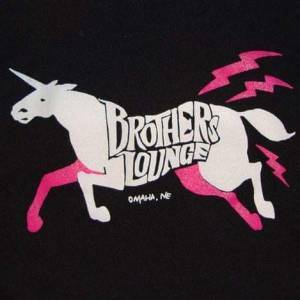 In 1973, Patrick Haggerty recorded and released Lavender Country, a collection of gay radical country music. 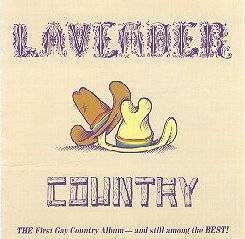 Though all of the records sold and the project was celebrated in a small portion of the gay community, Lavender Country proved too extreme for the music industry of the 70s and the project fizzled. 40 years later, independent record label Paradise of Bachelors reissued Lavender Country to rave reviews and a much more accepting public. Patrick and his music became the subject of an award winning short documentary, Cryin' These C*cksuckin' Tears, and Lavender Country went from being a lost obscurity to an underground legend. Since 2014, Patrick has played shows all over the states, from New York to San Francisco and everywhere in between, spreading his revolutionary message of love and acceptance in the face of violence, hate and fascism. Lavender Country concerts incorporate powerful and touching stories from Patrick's life - his upbringing in rural Washington, his expulsion from the Peace Corp for "deviant behavior", life before and after Stonewall, and much more. From beginning to end, Lavender Country is one of the most dynamic and poignant shows of our time. You will laugh, cry, sing and dance to the once-in-a-lifetime experience that is Lavender Country!